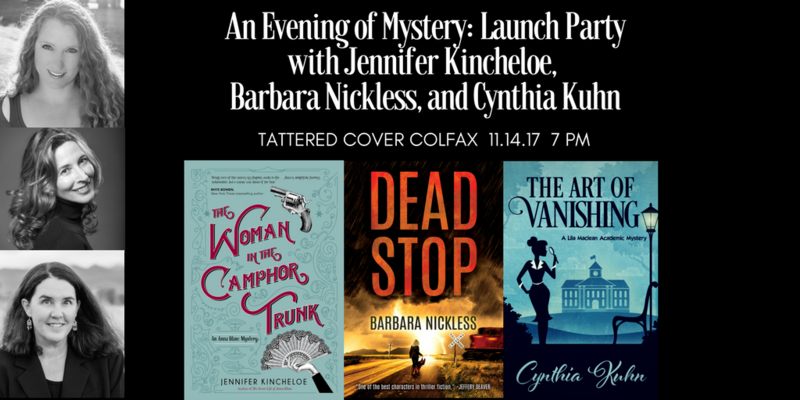 You are invited to a launch party at Tattered Cover Bookstore (Colfax) on November 14, release day for Jennifer Kincheloe’s The Woman in the Camphor Trunk. Joining her will be Barbara Nickless, author of Dead Stop, and Cynthia Kuhn, author of The Art of Vanishing. There will be readings, cake, music, and surprises! RSVP here.